Lift off for Falcon 9 SES-10 from Cape Canaveral — the world’s first re-flight of an orbital-class rocket. Image via SpaceX. At the end of March SpaceX successfully launched communications satellite SES-10 into orbit. Nine minutes after launch, the Falcon 9 first stage rocket touched down on the drone ship Of Course I Still Love You. 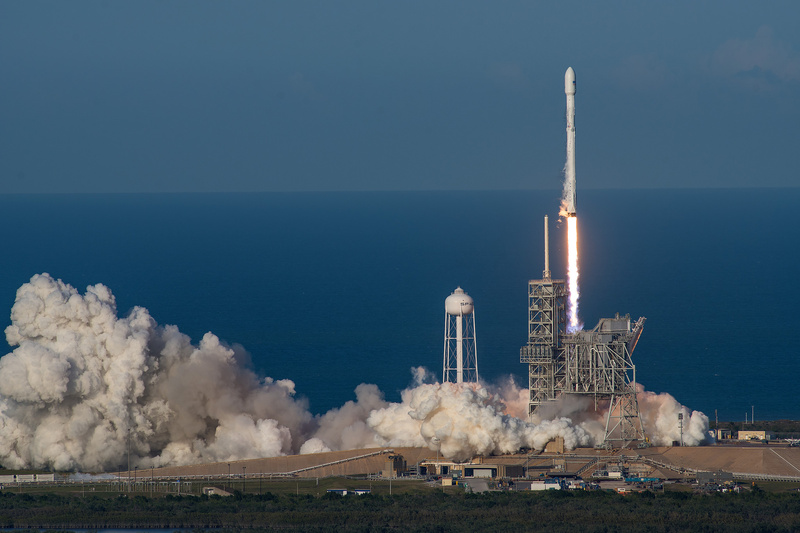 In what is quickly becoming a commonplace occurrence for the pioneering company, it was SpaceX’s ninth successful recovery of a rocket and the sixth landing to have taken place at sea. Still, this mission was special — it marked the first time that an orbital class rocket was ever relaunched and returned to space having been recovered after a previous launch. Without question this was a monumental achievement for science, for aeronautical engineering and for SpaceX, which has sought after the prize of reusable spacecraft since its founding some fifteen years ago. In time too, the event will surely come to remembered a watershed moment for the technology that’s key humankind’s spacefaring endeavours and pursuit of homes on worlds beyond Earth. It’s been fifteen years to get to this point, it’s taken us a long time. A lot of difficult steps along the way, but I’m just incredibly proud of the SpaceX for being able to achieve this incredible milestone in the history of space. 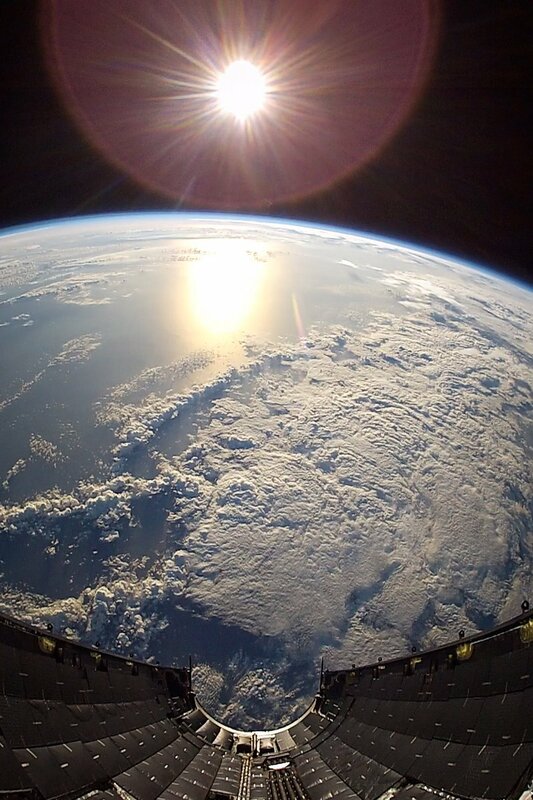 The first orbital-class rocket to have flown twice into space returns for a second time. Image via SpaceX. The Falcon 9 first stage booster used to launch SES-10 first flew on April 8 2016 during the CRS-8 mission for NASA. On that occasion it launched a SpaceX Dragon spacecraft that went on to deliver cargo to the International Space Station (ISS). Incidentally the booster’s recovery marked SpaceX’s first successful landing at sea, having already demonstrated soft-landing on land in December 2015. It goes without saying that launching a rocket into space and returning it through Earth’s atmosphere takes its toll. Ahead of SES-10’s launch, SpaceX reportedly spent some four months on refurbishment, tests and checks of the booster to ensure its flight worthiness. The company haven’t disclosed precisely what was involved in the refurbishment, but some indication is given by Musk. Recovered rockets like this one require some scrubbing up to get them ready for reflight. In the longer term — assured by experience, successes and hardware modifications — the company aim to reduce the duration required for refurbishment. At the same SES-10 conference, Musk went on to say: “Our aspiration would be zero hardware changes, reflight in 24 hours. The one thing that changes is we reload propellant.” He said that this should be attainable by some point next year. Aiming for such a swift turn-around from recovered to flight-proven boosters (as Musk referred to them) isn’t altogether surprising. After all, rapid reusability in the name of the game for SpaceX. That said, it’s questionable whether SpaceX would ever want or need to relaunch a rocket within such a short window — it’s more likely that such a timeframe indicates something of the relative ease by which SpaceX hope to be able to scrub up and ready flight-proven rockets. At any rate, it’s rapid reusability of hardware that will enable massive cost reductions for delivery of cargo, satellites and astronauts into space; something that will ultimately accelerate greater access to space and open up opportunities for travelling to Mars. Falcon 9 awaits launch of SES-10. Lift off for Falcon 9 SES-10. Cost-reductions for the customer were already evidenced with SES-10. Although not disclosing a specific figure, communications company SES confirmed that it received a reduction off the typical Falcon 9 launch cost of around $60 million. While SpaceX have often noted its longer term goal of 30% cost-reduction on launches featuring flight-proven components, it’s unlikely SES received such a discount, or that other customers will too soon. Last fall SpaceX president and COO, Gwynne Shotwell, said that the company was offering around a 10% discount to customers opting for the flight-proven Falcon 9 package (reported at SpaceNews). Musk has said that SpaceX has sunk around $1 billion into making the relaunch of a booster possible. It’s not until these developmental costs are recuperated that customers might expect the full savings afforded by reusable technologies. Launch of SES-10 into geostationary transfer orbit (GTO) took place from Cape Canaveral’s Launch Complex 39A. Incidentally worth noting that LC-39A is of historical significance in its own rights on account of its featuring in Apollo-era missions, including the first mission to take man to the moon, Apollo 11. SpaceX have leased the pad for twenty years. Around nine minutes after launch, the booster descended through the atmosphere before performing a propulsive landing on Of Course I Still Love You. After having towed the drone ship back to Port Canaveral, the rocket was prepared for transport by road back to Cape Canaveral where it will remain. It’s understood that Elon Musk will gift the historic first stage booster to NASA and Cape Canaveral. The recovered booster at Port Canaveral. Photos kindly provided by Scott Murray/MurfamPost. As historic as the SES-10 launch was, it’s far from mission accomplished for SpaceX. The company has come a long way from its Grasshopper days to be sure, but its founding objective of taking humanity to Mars remains. To say nothing of SpaceX’s Interplanetary Transport System (the company’s very much in-development platform for reaching Mars), propulsive landing and reusable spacecraft are key to this broader ambition but in both matters the company have work ahead of them. Iterative improvements to Falcon 9 have been key to its accomplishments to date, and will continue to play a role going forward. SES-10, for instance, launched on a Falcon 9 Full Thrust (or v1.2) — the latest Falcon generation. Full Thrust features a high number of enhancements over its predecessors, notably greater engine performance and an overall greater length to accommodate added propellant (a key enabler to return and landing of boosters). A final version of Falcon 9 — one further tuned for rapid reusability and designated Falcon 9 Block 5 — will launch for the first time later this year. Musk has identified some components SpaceX will be paying attention to with Block 5, including grid fins, landing legs, and heat shielding. Block 5 will also incorporate modifications relevant for upcoming crewed missions for NASA. Adding further detail on ultimate design-intent, Musk said that with “moderate refurbishment”, boosters may launch a hundred or more times (SES-10 post-launch press conference). That said, at least in the immediate term not all missions will seek to recover first stage boosters. A mission scheduled for mid-May, Inmarsat-5, for instance, won’t. Parameters of the mission have a major bearing on this decision. For one, the Inmarsat satellite is a very heavy payload, therefore requiring more thrust (and propellant) during launch — leaving less for first stage booster return manoeuvres. On its own this may not a be a problem, but the satellite is being launched into geostationary transfer orbit (GTO). Once again this means more propellant used, but it also exposes the booster to far higher velocities and consequently higher temperatures on returning through the atmosphere as compared launches to low Earth orbit (LEO). Altogether, some mission circumstances just don’t favour attempting booster recovery. In time, with enhanced technologies, this will surely change. So how might this relate to upcoming launches? Well for starters, SpaceX aim to pick up the cadence of Falcon 9 launches to as many as two per month. This was an aspiration pitched for the end of 2016 but interrupted by the catastrophic failure of AMOS-6 during a pre-launch static test fire in September. 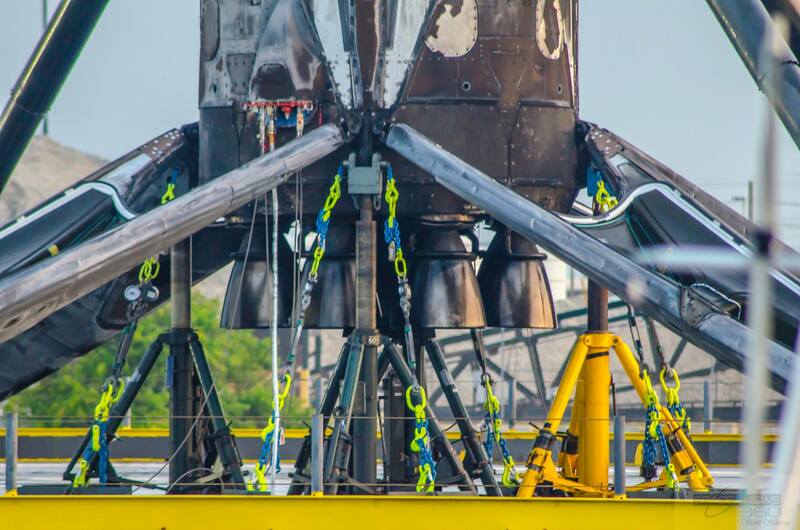 If SpaceX are to ramp up the tempo of its launch manifest — and they have some twenty more missions on the books for this year alone — it would be all the better for those working on refining the refurbishment process of recovered boosters. Across future missions we can also expect to see SpaceX extend the scope of its recovery activities beyond boosters. Already with SES-10, SpaceX managed to recover the payload fairing — the bulbous casing at the top of the rocket shielding the payload during launch. At $6 million, the five meter diameter component is not an insignificant expense. Enabling its recovery, Musk has said that the fairing has its own thruster control system and a steerable parachute. 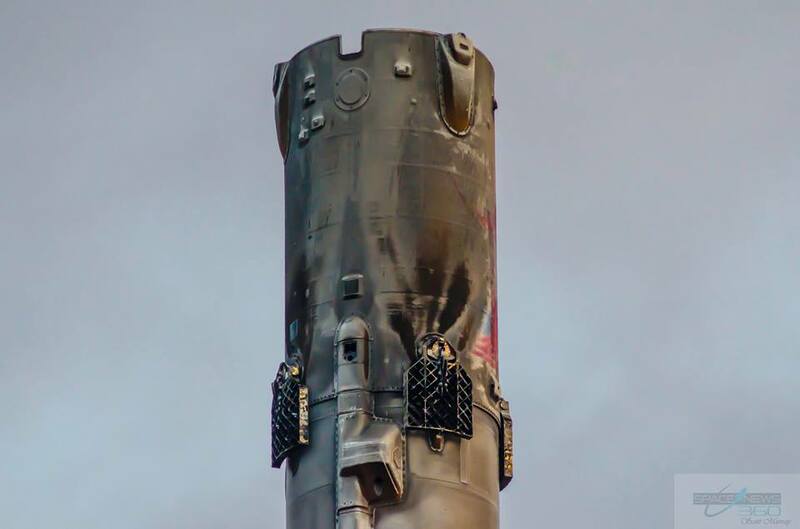 Big questions linger around potential recovery of the second stage booster which otherwise burns up upon falling through the atmosphere after payload delivery. Recovery of the second stage was never planned for the Falcon 9, but Musk has hinted at the possibility. Fairing of SES-10 after payload delivery. Beyond Falcon 9, we can also look out for the first reuse of a Dragon cargo spacecraft during the next resupply mission to the International Space Station (ISS) for NASA on CRS-11 — a Commercial Resupply Services mission currently slated for launch in late May. Dragon has been designed for reuse since its inception, but the capability hasn’t yet been demonstrated. At least in part this was because NASA stipulated that all CRS missions use a fresh Dragon. However, SpaceX have since secured approval to use recovered Dragons for the remainder of cargo missions on the contract (through to CRS-20). Dragon recovered after CRS-5 mission. To date, after departing ISS Dragon spacecraft return to Earth and parachute down into the ocean before being recovered. In the future this won’t be the case. 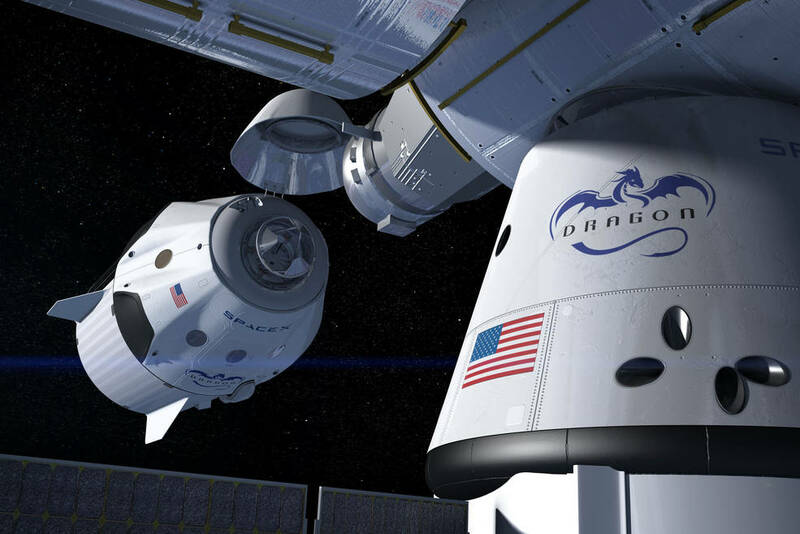 Last year SpaceX won a CRS-2 contract with NASA which will see the company resupplying the ISS with a variant of the next-generation Dragon Version 2. While Dragon 2 — or Crew Dragon — is designed for carrying astronauts, a cargo configuration boasts larger storage capacity than its predecessor. By far the more significant improvement, however, is that both variants are capable of propulsive landings using SuperDraco thrusters. Other design features of Crew Dragon will render it capable of deep space flight. 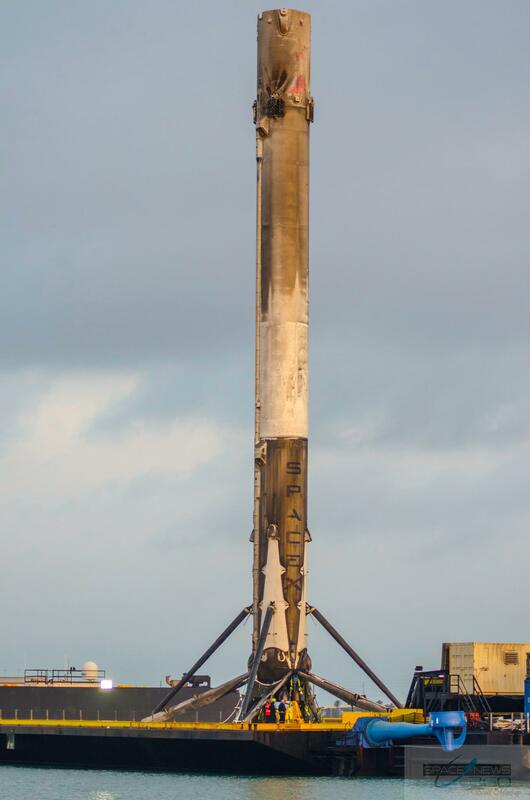 Akin to the ability of Falcon 9 first stage boosters to perform propulsive landings with pin-point accuracy, soft-landing of Dragon 2 makes for a far more effective method of recovery; one avoiding problems associated with ditching into sea water. Propulsive landings of cargo-laden Dragons also represents an ideal stepping stone to propulsive landings of Crew Dragon carrying astronauts. These missions will come about with SpaceX’s shuttling astronauts to ISS within NASA’s Commercial Crew Program for which SpaceX have a contract alongside Boeing (see, NASA). Illustration of a Crew Dragon docking with ISS. Although initially pitched for 2017, a first manned mission of Dragon Crew is currently not expected until the second quarter of 2018 at the earliest. An unmanned test flight of the capsule is slated for November 2017. In what will be a remarkable demonstration of the state of modern spaceflight — let alone Crew Dragon –, SpaceX announced in February that in the fourth quarter of 2018, they will fly two civilians around the Moon and back aboard a Crew Dragon. Of the plan, Musk said: “We’re working out the exact parameters, but this would be approximately a week-long mission, and it would skim the surface of the moon, go quite a bit farther out into deep space, and then loop back to Earth. I’m guessing probably distance-wise, maybe 300,000 or 400,000 miles,” (reported at SpaceFlightNow). Arguably the biggest thing to look forward to from SpaceX is the debut of Falcon Heavy. What will be the world’s most powerful launch vehicle — with double the payload capacity of its closest competitor (United Launch Alliance’s Delta IV Heavy) –, Falcon Heavy features a first stage of three Falcon 9 boosters in a side-by-side configuration, with the central core featuring an interstage, second (or upper) stage booster and payload fairing. 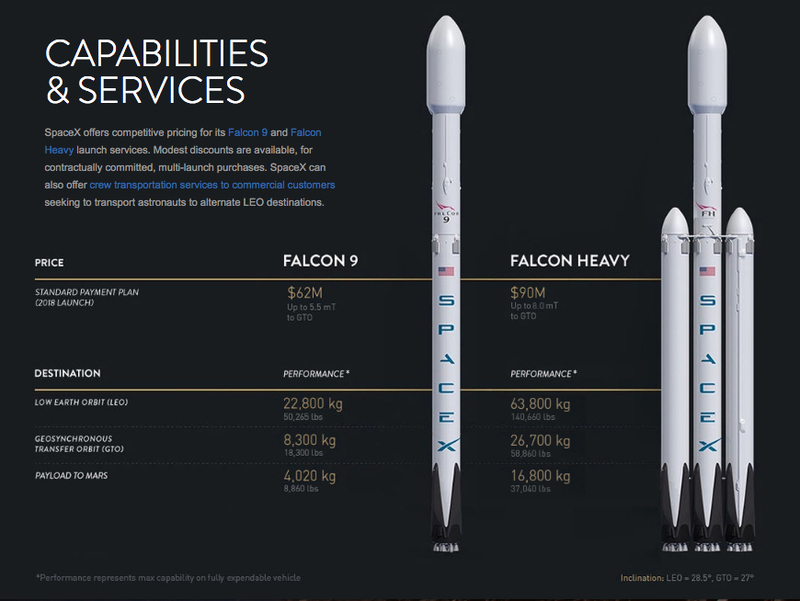 Capabilities & Services of Falcon 9 and Falcon Heavy. With such massive thrust, only the Saturn V moon rocket (last launched in 1973) was able to deliver larger payloads into orbit. Falcon Heavy will be capable of lifting over 63 metric tons into LEO, or 26 metric tons into GTO. Like Saturn V, Falcon Heavy will provide the means to journey out to the Moon; indeed it will feature in the mission to the Moon of Crew Dragon mentioned earlier. Falcon Heavy’s arrival has been delayed many times over. In part this has been because SpaceX’s principal commitment has been to commercial Falcon 9 launches and there’s been a backlog of missions to work through. 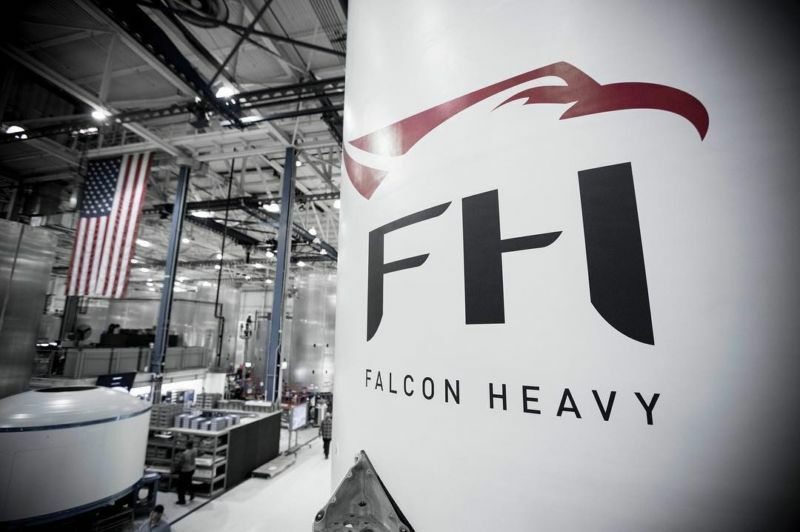 But the company have been open that delays have also stemmed from Falcon Heavy’s development having proven more complex than first anticipated. While the technologies and systems involved in the first stage boosters are well understood via Falcon 9 missions, strapping three boosters together brings about new challenges. In particularly, as Musk as said, a three-core design creates some shockingly difficult new flight dynamics that need to be accounted and designed for. Still, there are high hopes that 2017 may be the year for Falcon Heavy’s inaugural launch, and the past couple weeks have brought some promising indications. So what’s known of the demonstration flight? Well, both side-boosters be flight-proven. One side-booster (SpaceX booster reference #1023-2) already underwent a test firing earlier this month at SpaceX McGregor facility in Florida after refurbishment following its initial launch in the Thaicom-8 mission last year. The first stage center booster of the maiden Falcon Heavy (#1033) has also been spotted at the McGregor test stand. Unlike side-boosters, the center core is brand new, featuring structural modifications enabling it to accommodate side-boosters. Falcon 9 booster 1023-2 under testing ahead of assembly into a Falcon Heavy. Image via nasaspaceflight.com. Falcon Heavy center core 1033. Image via nasaspaceflight.com. Following test firings at McGregor, all four rockets will be transported to the Horizontal Integration Facility at LC-39A at Cape Canaveral where they will be assembled to form the first Falcon Heavy. After a battery of checks, next up will be a static test firing of all 27 Merlin engines of Falcon Heavy’s first stage. From that point forward, SpaceX will be gearing up for launch proper of the Falcon Heavy demonstration. Falcon Heavy’s eventual launch will take place from LC-39A. However, refurbishment of LC-40 — after damage from the AMOS-6 incident last year — is actually a determining factor for Falcon Heavy launch as this must be completed so Falcon 9 missions can move there, opening up LC-39A for Falcon Heavy (NASA Space Flight Now). We don’t yet know exactly when Falcon Heavy will demo. Refurbishment of Pad 40, outcomes of test firings, vehicle assembly, and more all weigh into when everything will be ready and in place, but comments from Musk indicate the company is optimistic for launch late this summer. While the launch of Falcon Heavy will be pretty spectacular, the event will be all the more extraordinary as all three first stage boosters will return for recovery. While the side-boosters will come in for simultaneous landing at Cape Canaveral, the center core booster will attempt a drone ship landing offshore. There’s certainly a lot to marvel at with SpaceX. The company’s success in relaunch of an orbital class rocket set an extraordinary standard in terms of technological achievement — an achievement that will likely all too quickly come to be seen as a ordinary as it’s repeated. Although that event arguably marked the end of a chapter for SpaceX, a survey of what the company are working towards nevertheless highlights that aspirations at SpaceX will push the state of the art far further yet. Along that road will be trials and setbacks to be sure, but what will emerge are technologies and possibilities of space travel that to date have been consigned to the realm of science fiction.